The dustwrapper has had some very high standard professional restoration to spine ends, tips. This is very shallow indeed and in my opinion was pointless ! Priced to sell and an extremely collectable book ! These books are all nice solid copies - we sell no rubbish - just read the description for condition state, as they do vary a bit according to age etc. We are trying to keep a spare copy of each title so when one sells we can add a replacement immediately for the best possible selection. However, it's not easy to do so if you see a book with £SOLD then we're out of stock - do check back though as stock changes all the time. All pictures are of the actual book offered - all delivered free remember ! Cora Lansquenet had ever been carefree . . . and her posh family members turned a deaf ear to her comment at her brother Timothy's funeral: ,"He was murdered, wasn't he?" But it came back a day later, when Cora was killed with an axe. But by then the family lawyer had called in Hercule Poirot. Jane Marple takes a holiday in London and wants the perfect hotel, with a little help she ends up at Bertram's, needless to say murder soon follows. A really good read, one of my personal favourites in fact. A typically quiet and pleasant day in St. Mary Mead is shattered when a maid finds a body in the library. She alerts retired Colonel Bantry and his wife to the fact there's the body of an unknown woman lying dead in their library. The police are called Colonel Melchett and Inspector Slack get on the case, assisted later by you know who ! At an exhibition of snuff boxes, Hercule Poirot meets Mr. Shaitana, a mysterious foreign man who is consistently described as devil-like in appearance and manner. Shaitana jokes with Poirot's visit to the snuff box exhibition, and claims that he has a better "collection" that Poirot would enjoy-individuals who have successfully gotten away with murder. Three generations of the Anglo-Greek Leonides family live together in a large, seemingly crooked house, under the patriarchy of Aristide. He is an ageing millionaire who originally moved to England from Smyrna and, in the novel, spends his remaining days in the company of his second wife Brenda, fifty years his junior. It leads him to investigate murder ! An mystery fiction classic ! A bargain reading copy delivered free in the UK ! The Queen of Crime strikes again ! Hilary Craven, an abandoned woman and grieving mother, is planning suicide in a Moroccan hotel, when she is offered an alternative - take on a dangerous mission instead of taking an overdose of sleeping pills. A solid reading copy of a book first published in 1937 ! Minor edge tan due to age as always. At a literary luncheon, the celebrated author Ariadne Oliver is asked a blunt question by a complete stranger: The question is: did Celia’s mother murder her father, or was it the other way around? Disturbed but curious, Mrs. Oliver enlists Poirot’s help. Slight paper tan, as ever. 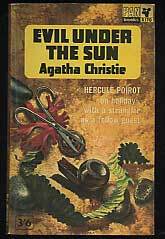 Sixteen years after a woman has been convicted of the murder of her husband, her daughter, Carla Lemarchant, approaches Poirot to investigate the case. Whilst getting ready for a Halloween Party, a girl named Joyce Reynolds, told a story about how she once witnessed a murder once, however she only just realised that it was indeed a murder. After the Hallowe'en Party, Joyce was found drowned in an apple-bobbing tub. When multi-millionaire Simeon Lee unexpectedly invites his family to gather at his home for Christmas, the gesture is met with suspicion by many of the guests. the house is full of potential suspects when the game turns deadly. Minor edge tan due to age as usual. Poirot is upset to have to drink his aperitif outside and even more so at seeing a drama being enacted of a man laying by a pool and a woman with a gun stood over him - only it wasn't a drama . . . Mrs. Oliver enlists Poirot’s help. A selection of mystery stories, some amusing, a few with a touch of romance, some very deadly! Twelve tantalizing cases! 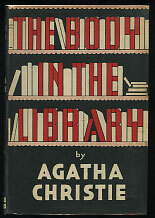 Poirot recalls recalls Lord Edgeware smiling and bidding him a fond farewell as he left Edgeware's library, little did he realise that he would be found there the next morning murdered with a knife in the back of his neck ! 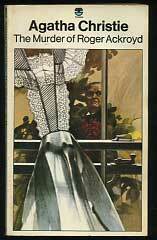 Miss Marple investigates the murder of Heather Badcock, who consumed a poisoned cocktail apparently meant for American film actress Marina Gregg, Heather's idol. For Sale at £SOLD - SORRY, CURRENTLY OUT OF STOCK (approx $SOLD) *uspb - Delivery Information ~ Free & Subsidised ~ Please Check! A blackmail / poison pen classic. Jerry and Joanna Burton, disaffected siblings from London society, take a country house in idyllic Lymstock so that Jerry can rest from injuries received in a wartime plane crash. 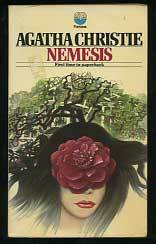 First rate beautifully carfted mystery novel ! Miss Jane Marple gets a missive from the recently dead Mr Jason Rafiel, a very rich man whom she had encountered whilst on holiday. 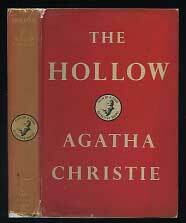 He posthumously asks her to investigate a murder if she succeeds in solving the crime, she will inherit £20,000. Surely one of her best efforts - brilliant ! When a bored diplomat is approached in a bleak airport by a lady who believes life to be in mortal peril, the agrees in a moment of weakness to lend her his passport and boarding ticket. This title has a very unusual ending, not as clear as normal ! 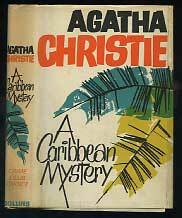 Poirot and Hastings are spending a week's holiday in Cornwall when a young woman they meet casually mentions she has had three scrapes just recently, narrowly avoiding death in each case ! Now elderly, over 70 in fact, Tommy and Tuppence move to a quiet English country village. the Beresfords are hoping for a peaceful retirement. But, as you'd imagine they won't have, their big old house contains secrets. Who is Mary Jordan? 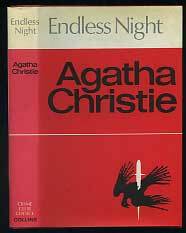 A collection of short stories by Agatha Christie published in Great Britain only in November 1991. 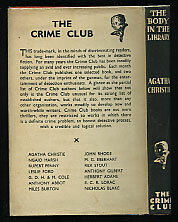 It was not published in the US but all the stories contained had previously been published in vintage US magazines etc. 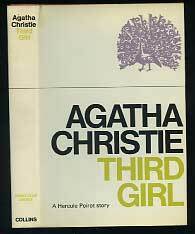 There are two stories with Hercule Poirot, two with Parker Pyne, two with Harley Quin and two gothic tales. The novel marks the author's first use of a bit of supernatural in the plot an dstory line - Captain Trevelyan has been murdered - one knock for yes . . . 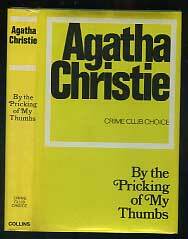 In Agatha Christie’s They Do It With Mirrors, Miss Marple meets up with an old school friend, Ruth Van Rydock, she's obviously worrried, there's a mysterious house you can guess the rest but not the ending ! Poirot has a dishevelled girl burst in on hime whilst he is breakfasting - she says she may be a murderer ! First published in 1932 - an early one ! 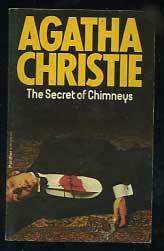 CHRISTIE, (Dame) Agatha wrote as Mary Westmacott. British. Born in Torquay, Devon, 15 September 1890. Educated privately at home; studied singing and piano in Paris. Married 1) Colonel Archibald Christie in 1914 (divorced, 1928), one daughter; 2)the archaeologist Max Mallowan in 1930. Served as a Voluntary Aid Detachment nurse in a Red Cross Hospital in Torquay during World War I, and worked in the dispensary of University College Hospital, London, during World War II; also assisted her husband on excavations in Iraq and Syria and on the Assyrian cities. President, Detection Club. Recipient: Mystery Writers of America Grand Master Award, 1954; New York Drama Critics Circle Award, 1955. D.Litt. : University of Exeter, 1961. 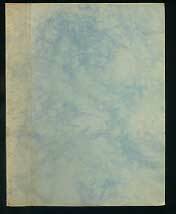 Fellow, Royal Society of Literature, 1950. C.B.E. (Commander, Order of the British Empire), 1956; D.B.E. (Dame Commander, Order of the British Empire), 1971. Died 12 January 1976. When Miss Marple first appeared, in 1930, she was described as a tall old lady with a wrinkled face and china blue eyes. She has changed very little in appearance, though there are indications that she has grown more frail. She should be more than one hundred years of age by now (despite her recent attempts to convince us differently) and she still lives alone. Miss Marple is an unashamed advocate of gossip as a means of obtaining the information she needs to solve her cases. Early in her career, she used bird glasses as a subterfuge for spying on fellow inhabitants of St. Mary Mead. Now she uses more subtle means. Finances have been a problem for Jane Marple, as she has had to live on a small, fixed income, She has always been helped by her nephew, novelist Raymond West. In recent years, as he has gained fame, he has grown more generous to his aunt, even sending her on a vacation. The last Jane Marple mystery, planned for publication after the death of her creator, Agatha Christie, has the announced title of "Sleeping Murder." Hercule Poirot is five feet four inches tall, has an egg-shaped head generally tilted slightly to the left. His eyes appear green when he is excited. Vanity compels him to squeeze his feet into black patent leather shoes which are too small. His enormous moustache is waxed and twirled into points at the ends. Considering his age, his hair is suspiciously dark. 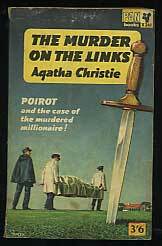 Originally Poirot was a mainstay of the Belgian police and one of the leading detectives on the European continent. He was wounded in the leg during the German invasion of his homeland in 1914. As a refugee in England, he renews his acquaintance with Captain Hastings, who also had been wounded. Poirot is staying with some other Belgian refugees near the mansion at Styles where Hastings is a guest. When murder occurs, Poirot repays English hospitality by agreeing to solve the crime. Deciding to remain in England, he becomes a private inquiry agent in London. He shares a flat with Hastings, who recounts Poirot's adventures. The menage includes two efficient aides: Poirot's valet, Georges, and his secretary, Miss Lemon. In his first appearance, which takes place in approximately 1915, Poirot is described as elderly. It is clear that even if he were only 50 then, he is now well over one hundred years old. Fortunately, time has not dulled the sharp brain which he describes as his "little grey cells." He still insists on "order and method," and deprecates reliance on physical clues alone as a means of solving cases. His energy has seldom flagged and, though he has retired many times (once to raise pumpkins), an interesting case will always bring him back to action. Perhaps it is his tremendous confidence in his own abilities which makes him believe only he can solve the case. Death must come as the end, even to Poirot. Ironically, it finds him at Styles, the scene of his first triumph in England. Though crippled by arthritis (he spends most of his day in a wheel chair) and subject to angina pectoris, Poirot has not lost his mental faculties to the ravages of time. His last case is a splendid achievement, a unique tour-de-force. Poirot, at his death, became the only fictional detective to have his obituary printed on Page One of the New York Times. For 35 years, Parker Pyne compiled statistics in a government office. When he retired, he wanted to employ this experience in a useful, enjoyable way. He placed an advertisement in the Personal column of the daily newspaper which read: "Are You Happy? If Not Consult Parker Pyne ..," In this novel fashion, he enjoys his advanced years, helping to make others happy for fees they can afford. His look of British solidity immediately inspires reassurance in his unhappy clients. He is large, though not quite fat, has a bald head of noble proportions, and a pair of strong glasses that do not conceal his little twinkling eyes. He exudes benevolence, making it easy for one to confide in him.